Many bands you hear today have decades of seasoning behind them – individually at their craft as well as just soaking in the music at hand from a fan perspective. 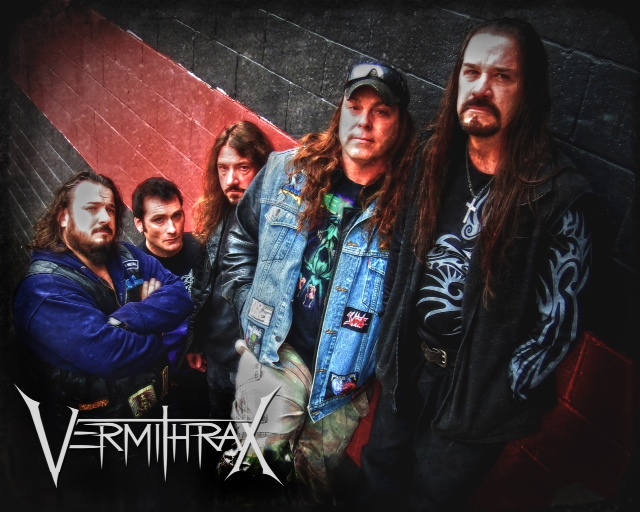 Pittsburgh, PA is home to Vermithrax – an outfit that contains members with backgrounds in numerous power, progressive, thrash, and death acts. So it shouldn’t be surprising that they’ve come together to develop a sound that embraces a lot of multiple genres – dynamic and heavy, while still retaining sophistication and musically savvy when necessary. Their latest full-length Imperium Draconis has been years in the making, but finally the world can experience their versatility – including a killer Flotsam & Jetsam medley of “Hammerhead/Hard on You” that reaches back to the early discography of that veteran act. Reaching out to vocalist CRoy, we had a lengthy talk about the circumstances surrounding the lengthy wait between releases, their decision to sign to Divebomb Records, what he’s learned through his various music industry roles including ProgPower stage management and how it applies to promoting the band – as well as frank discussion on the future of the genre as we know it. Dead Rhetoric: Your latest release Imperium Draconis has been years in the making and finally hit the streets through Divebomb Records. Can you discuss the challenges of finding the right label for the band, as well as what specific decisions came about for the material that appears on this release? CRoy: Boy that’s a broad question. In the band’s situation and when you are looking to put out an album, especially as you get older the wiser you get. You just start looking at things that are going to help create the longevity of the band, and back the band. It’s not about signing a deal, it’s about signing a deal that works for that band. You could get lucky and have that happen instantly for somebody – but it’s never been the case for anything that I’ve ever been involved in. It’s always been a lot of seek and destroy missions. That’s where we ended up – we had some offers on the table that came in, it just didn’t seem that the deals would allow the band to actually have a life even within the realm of what little of the music business is left now. It didn’t leave anything for the band to be creative. I kept hearing about Divebomb Records from multiple people -most of them friends who have been in the industry for a long time. They said we should talk to Matt (Rudzinski) at the label, and see if it was something we want to do. I travel quite a bit, and was going into his area of North Carolina. I called him up, talked a little bit, I wanted to go out and have a few beers. I wanted to see what his label offers – and after having dinner with him it was pretty amazing to hear how he had the right mindset. He has a true passion for metal- unlike a lot of people out there. With many labels, it may have started for them as a passion, but then people are hired to fill positions and it doesn’t really matter how they feel about metal. I’ve seen that happen a lot – Matt grew up in a similar time of metal as I did, plus has a knowledge of metal that’s crazy, thrash, traditional metal, we could have talked all night. If I could run my own label, I would want to – but if I can’t, I would want someone who knows this better than I do, but has the same drive and passion. Looking back at past metal bands and knowing why they were great, he reissues so much cool older stuff. What a cool label to be on – it’s a little bit of both and gave us a unique distribution. That’s where the decision came from. (The material) came down to a couple of things. We want each release to be diverse within themselves. You don’t want to have twelve rip roaring thrash, all out speed metal songs and not have anything with a different flavor. I control that a little bit by default because I write the lyrics and handle the vocals. I’m usually the last stop before any decisions are made. We all come up with riffs- everyone in the band plays guitar. Scott (Hagz) usually puts the riffs together – he talks about order, how we do this and that. We do a second brainstorming session over a group of songs. We look at the pieces – one more may be power metal, one more technical. We then try to figure out the moods and loosely chain things together lyrically. Some of the songs that were left over could have easily replaced other songs that appear on this album – it’s more about having the diversity. Anybody that likes this can expect the same thing in the future, as we want to evolve. We want to have thrash roots, progressive roots, and power metal – we combine these in odd ways to maybe challenge the listener a little bit. 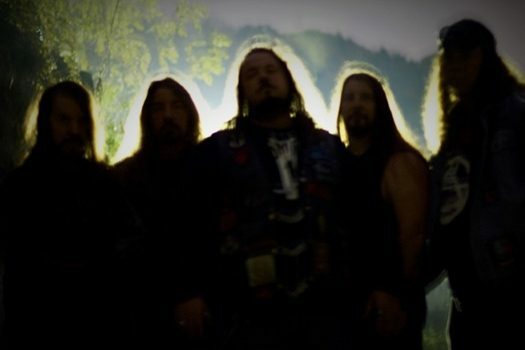 Dead Rhetoric: Where does the band come from on the lyrical front – as it appears to be a mixture of fiction and reality inspirations that intertwine within the Vermithrax dynamic? Do you consider the lyric content as important as the music you deliver? CRoy: I always have felt that the lyrics are really important. Even in past bands, I want to write thought-provoking material, if nothing else. The idea is to have a story or something to say, but have it be open to have people find the message easily. The material that seems like one thing, but when you really listen to it, it means something different. It’s like great literature- I at least strive to create that environment on the listeners part of it. 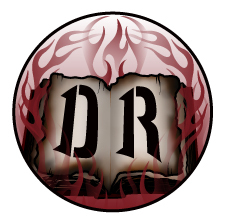 Dead Rhetoric: The specific style of melodic power/thrash metal you develop definitely has distinct features of many bands that seem to appeal to niche audience. How have you gone over locally and internationally as a result – do you believe this puts you at an advantage versus other acts who maybe follow specific trends in metal? CRoy: I don’t know. Because that niche is although smaller, seems to be much more loyal. We get a lot of feedback about our music having moments that sound like Forbidden – of course there is, because Forbidden is a big influence on the band, we love that band. Was Forbidden as big as Metallica? No, but the people that like Forbidden, love Forbidden. There are other comparisons – ironically it may only be one person in the band that’s influenced by a group, but it shows through in the music. Hopefully what people get out of it is, each song is pretty different in the sense that even its influences are very different. It would be hard to say we sound just like anyone, and that’s obviously been our goal – we haven’t run into a wall into that yet. We grew up in the era of thrash as it was happening, we were influenced at a young age by this. I can tell you the exact moment the band started. It was the moment that our drummer went to see Forbidden on the Omega Wave tour with our guitar player – he came to see me the next day and said, ‘that’s it- I don’t want to play just one kind of metal anymore.’ He wanted to be heavy as hell, but diverse. We hope that we translate similarly as a band that’s diverse. Dead Rhetoric: How do you believe seeking out outside sources like Chris ‘Zeus’ Harris helped in terms of the final product of this record? CRoy: That was a Hail Mary pass- for one we are unsigned, and ‘Zeus’ is used to working with bands like Iced Earth, Sanctuary, Queensrÿche, Rob Zombie. Bands that are pretty beyond in terms of popularity to what we do. He happened to have come up in the western Mass. Scene, during the same time that one of my old bands was also coming through. We played the same two clubs – Katana’s and Vertex. He was in a doom band that played there quite often (Doom Nation). We were always at each other’s shows. I reached out to him about that. I told him the challenge of using three different style engineers, and bringing this to one cohesive sounding album. He liked the material, he said no problem, he told us what he could do. He certainly is going to make it better regardless of what he does. When he sent it back, I got the whole band in the room just to listen to the CD as it came back from him. I didn’t even listen to it because I wanted everyone to hear it for the first time at the same time. Everyone would be all in, or oh no. The best part is…we played it from beginning to end. About halfway through “Enoch”, everyone looks at each other, and Jere (Jameson) said, ‘this is the thrash album that I’ve always wanted to put out.’ Meaning – hearing the full production, it sounded like what he envisioned and wanted it to sound like. We are totally pleased, and couldn’t be happier considering the type of budget we have. How we have to make things happen, the album was done before we got the label. It’s an interesting way of going about it. He did make all of the songs sound closer together, they have a great flow. Sonically I think it’s pretty unique. Dead Rhetoric: You have worked at various jobs in the music industry between the retail/manufacturer side as well as a long run as the ProgPower USA festival stage manager. 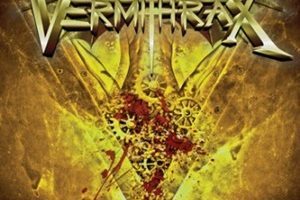 What insights and tips did you take away that you’ve been able to apply to Vermithrax to develop a stronger career and foothold in the scene? CRoy: First and foremost, you are always on the job. You don’t punch in to be in a band and then you punch out. At least from my perspective. And the people that do, that’s your weakest link in the band, and the weakest band in your scene. You have to always be thinking like you are a business. Realistically, those relationships you create, you have to maintain those relationships. You have to be there for other people so that when you need them to be there for you, they are. ProgPower was a great experience, I still have a huge family of people there that I can just go back to and it’s like nothing ever changed. It’s like that with your real friends, you still speak the exact same language even though years have passed. A lot of the business is done with a handshake, and you don’t want to be shaking hands with the devil. Know who you are dealing with. I really try to pay it forward with as much as I possibly can, and it does get frustrating that it doesn’t seem to always come back. Part of paying it forward is you are not supposed to anticipate it coming back – it will when it does. When I promote, I don’t just try to promote my band- if there is another band doing something that can be a part of this, it doesn’t cost me anymore to do that. I don’t see that with a lot of other people. I don’t see the win in my band versus your band attitude. The bands that I know that have been successful, and the bands that I know I want to hang around with, all want to see each other do well. We want to go to each other’s shows, call them up to jump on opportunities and have everyone do well. 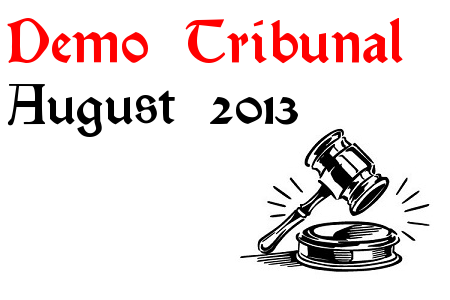 A prime example is Ironflame – with Divebomb we created dual promotion. A creature-double feature kind of thing, even though we are very different musically, I’ve spoken at length with Andrew (singer of Ironflame), and he thinks like I do. Dead Rhetoric: Do you believe that’s something that’s always been in your DNA- even through your time in New England bands like Visionary and Reading Zero – understanding the power of a scene versus competition? CRoy: You would know every band that I would name, for me there was nothing more exciting than us playing with another band like Nervewomb, or hang out with Auditory Imagery, Divine Regale, hang out with Lord Bane – all that stuff. I jumped at every opportunity just to have those experiences. Ironically it gives me a million stories to tell, when they say, ‘do you know this band?’. I know a story (laughs). When I was younger, I was seeking that. I wanted to be around those people, like-minded people. It’s been funny, the longer you do it, not everyone sticks to it forever. The longer you do it, the longer the relationships maintain and the stronger they become. Part of the blessing is for me, to hang out with these people and become their friends, it means something to me, because their music meant something to me. I try to remember that from the other side. Nobody in our band turns down autographs or pictures with the fans. Everybody in our band gets it, we are happy to be playing the music we want to play. We are not tied to some greasy label deal to be forced to do things- we have complete artistic control. Dead Rhetoric: You did a crowdfunding campaign for this record – how do you feel about the process and do you believe this is going to be a sustainable business model for the future, given the direct access the bands can have with their fans? CRoy: For us it was paramount. From my own experience with putting out albums in the past, having labels flake out and not pull their end or not pay what they are supposed to pay for sometimes, pulling directly out of pocket in the past was a huge concern. Especially because now we all have kids, we all have lives, it’s not like you can make thousands of dollars disappear and not feel the sting. Putting together a pre-release or a pre-order of your CD and build packages that are totally unique for your fans and friends – that would make them basically invest in your band. This is either going to go okay, or horrible wrong. Let’s leave no stone unturned, but also let’s be realistic – not expect a crazy number. Really look at every cost- shipping costs, packaging costs, everything – and then plan for some issues. In the end, a little did have to come out of our pockets- but nowhere near where it would normally be. At the end of the campaign we raised close to $5,000 in pre-orders. We were speaking to two labels, and one of the labels we spoke to said they didn’t think they would ever be able to give us $5,000. That was an eye-opener – and another reason why we are doing what we are supposed to be doing, show a label that you don’t need them, and then you’ll get the label you’ll deserve. Get things to a spot where you don’t really need them, and then they’ll come around. We had the cards on the table – that made it a lot easier for no cost to our album. We didn’t have any debt, that’s pretty awesome.